Like-new books without the new book prices! A booklover’s paradise. 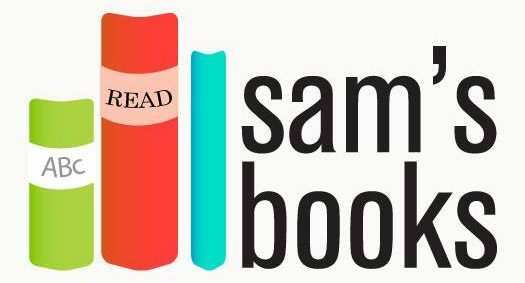 Sam’s Books is a used bookstore located in the Oldsmar Flea Market in Oldsmar, FL — catering to all of Pinellas and Hillsborough Counties. We’re the OG of used bookstores in the Tampa Bay area (25 years in business, crazy, right?!?). Our specialty (and passion) is pre-loved children’s books, but we have a large selection of almost anything else you can imagine. YES! Oldsmar Flea Market IS STILL OPEN! We’ve heard from more than a few customers that they’d heard the market was closing…IT’S NOT! Oldsmar Flea Market is alive and well, and so is Sam’s Books. In fact, the store is even open an hour MORE Thursday-Sunday (til 6pm). Why is Sam’s Books the better used bookstore? It’s simple. If you’re looking for a bargain, you’ll find it. If you’re looking to go cheap, go elsewhere. We try to be super selective with our stock so that you’re not sifting through piles of the crappy books everyone else got rid of (James Patterson is a fine author but do you really want a yellowed copy of Kiss the Girls from 1995?) Yes, we sell used books, but we strive to provide used books that are more like-new than not, but at prices you can actually afford. We truly love what we do and want to share that love with our customers, and THAT is what separates us from our competitors. It’s truly a book lover’s paradise! Browse our store for yourself or inquire online! Personally, I like finding my books by wandering. Yup, I choose my books based on the cover. Sometimes that works out, sometimes not so much. But I never regret! Here’s the lowdown: if your idea of a good time is browsing a treasure trove of books for hours, we’re definitely the bookstore for you. We try to keep the most requested books in stock, but the true beauty is in the undiscovered! But we know that browsing the most fabulous bookstore in the world endlessly is not always in your timeframe, even if you’d like it to be. So if you know what you want, feel free to contact us! If we don’t have it, we’ll let you know if we can get it. Our inventory changes daily, but if I do say so myself, the proprietor knows her stuff — and she’ll be able to give you a reasonable guess if we can get it for you. The best part is: IT’S LOCAL! Whether you’re in St. Pete, Oldsmar, Tarpon Springs, Town N’ Country, New Port Richey… your new (used and affordable) books are right around the corner. And wayyyyy too much to list! You don’t make enough money for the amazing work you do. We are proud to offer you a 10% discount on all of your purchases, all day, every day. We want to help you stock your classroom for less, especially since supplying good books for your students often comes from your own (underpaid) pocket. We only wish we could do more. Do you have any copies of Redeeming Love by Francine Rivers? I am wanting to do a book study with a group of girls from my church and need about 6 copies. Hi Jan! I’ll have to check the shelves to see. Can I let you know Thursday? I checked the shelves today and alas, no Francine Rivers in stock. Keep checking back, we have an ever-evolving stock! We’re open Thursday noon-5 and Friday-Sunday 10-5. Inquires welcome any time! I love your book store! Do you have The Whistling Season by Ivan Doig? I will have to check the shelves and let you know Thursday! And I’m so glad you love the store! I do have a copy of The Whistling Season by Doig. It is hardcover. I do have a copy. It is hardcover. My next big trip in Guatemala. I need pre-K to 2nd grade books in Spanish. CHEAP CHEAP CHEAP! Please let me know if you have anything. Do you have Junie B Jones books? Yes! Are you looking for any specific titles? I am looking for a hardcopy of The Great Shark Escape in the Magic School Bus Series 7. Our new puppy and I need to replace it. Any hope? You sold me tons of books for the grandson’s. Now I’m buying for the Great grands. I will have to check the store, but almost positive I do not have that in hard cover for sure, because I very rarely get them in hard. I may have a soft cover though, and I can let you know! Love your store! Do you have a copy of The Best Part of Me by Wendy Ewald? Sorry, I missed this question! I will check the shelves tomorrow and let you know. I’m sorry, I do not have a copy of that, it seems like it’s fairly rare and unlikely it will pop up but we’ll let you know if we do! We are looking for the little house on the Prairie books as well as how to train your dragon series. I checked today and I have quite a few Little House on the Prairie books on the shelves. What titles are you looking for? I found your shop yesterday. What an amazing collection! The lady there was super nice and very helpful. She really knows her books. She told me exactly where everything i was looking for was. This store is a gold mine for teachers. I will definitely be back many times in the future! Hi Sandra! Can I get an email address for you? I do have some, but I can’t tell you which ones and prices until I’m up at the store tomorrow. Do you buy books? I have a box full of used and in good condition children’s books and adult books. We do, if they are titles that we need in stock! A beautifully sorted bookstore full of nostalgia and newer books alike. It’s easy to get lost in here for hours – and it’s also easy to walk out with 20 books for around $20! Very reasonable prices, lovely store, friendly owner. “Great place for teachers to get books for the classroom. Books are in great condition and at a great price!” – T.R. “Absolutely love this place!!! Great store owner and great deals! A school teacher’s dream come true! !” – K.G. “Thank you so much! Every time I come in you are so knowledgable and know all the books I’m asking for and you enjoy talking to me about them! I feel you love the book passion as much as I do.” – Z.D. “Love, love, LOVE Sam’s books. Our daughter teaches third grade and we buy books from Sam’s. It supports two states: Florida’s economy and Oklahoma’s children’s education. It takes a nation to educate children and Sam’s is an important part of it.” T.H.